I asked The Husband what he wanted as this weekend’s sweet treat and he replied french toast. Quite excited to test these out, I knew it had to be done this weekend. 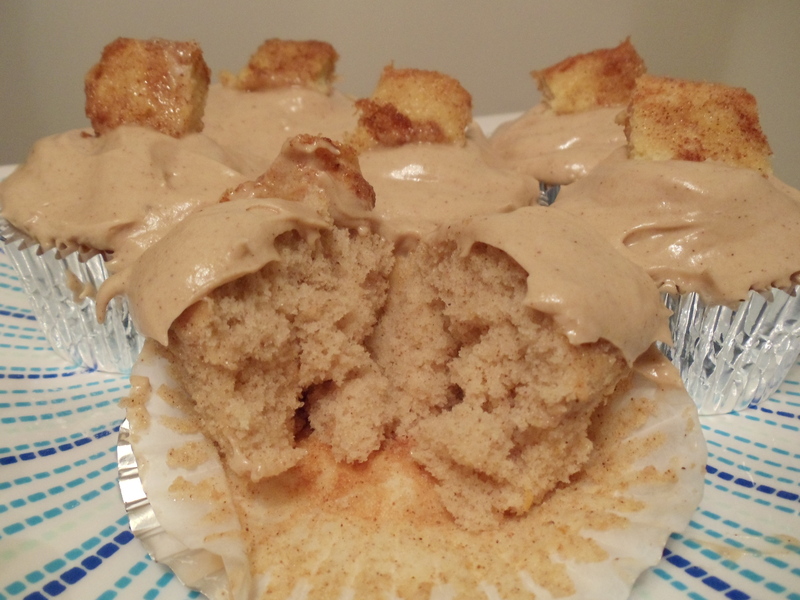 A cinnamon cake with cinnamon maple icing, sounds good right? Well, it was! 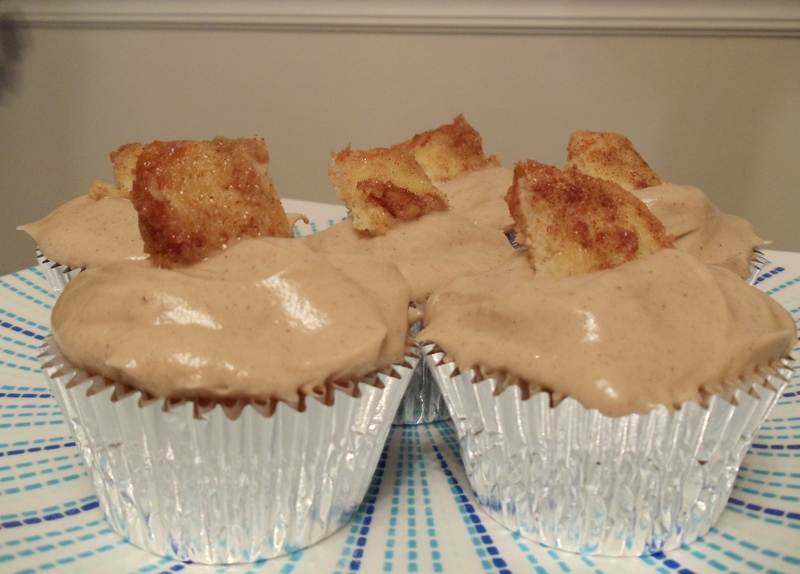 For an even more french toast flavor I’ll probably add 1 tsp of maple syrup to the frosting. 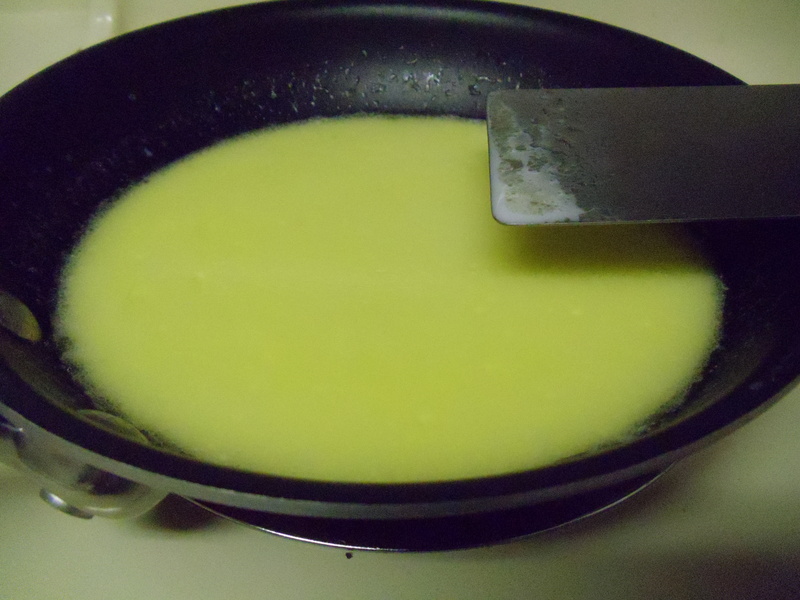 This step was new to me: Stir milk and butter in a small saucepan over low heat just until butter melts; set aside. 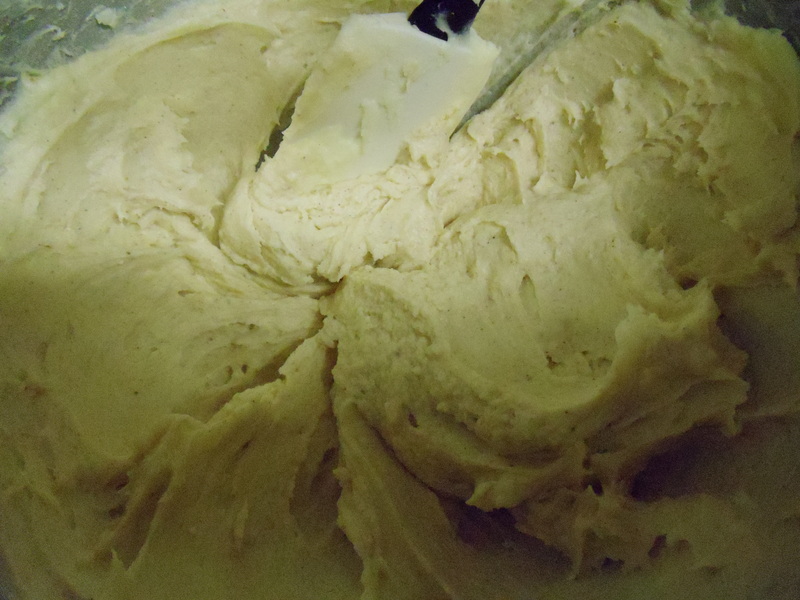 In your standing mixer, beat eggs and sugar until the thick batter can form a ribbon. This typically takes five minutes. Continue to beat in orange zest and vanilla. Add the flour mixture of sifted flour, baking powder, cinnamon and salt. Then beat in the milk-butter mixture just until blended after you’ve added the flour. Bake at 325 for 15 to 20 minutes. Let cool for about 10 minutes then transfer to cooling rack. In the bowl of a stand mixer, beat the butter and cream cheese until light and fluffy, about 3 minutes. Add the confectioner’s sugar and cinnamon and maple and beat for another few minutes until light and fluffy. I may even add a little more maple next time. Frost the cupcakes and garnish as you please. I just sifted some cinnamon on top. I had never baked my cakes in this way and I was a little skeptical, but they turned out beautifully. 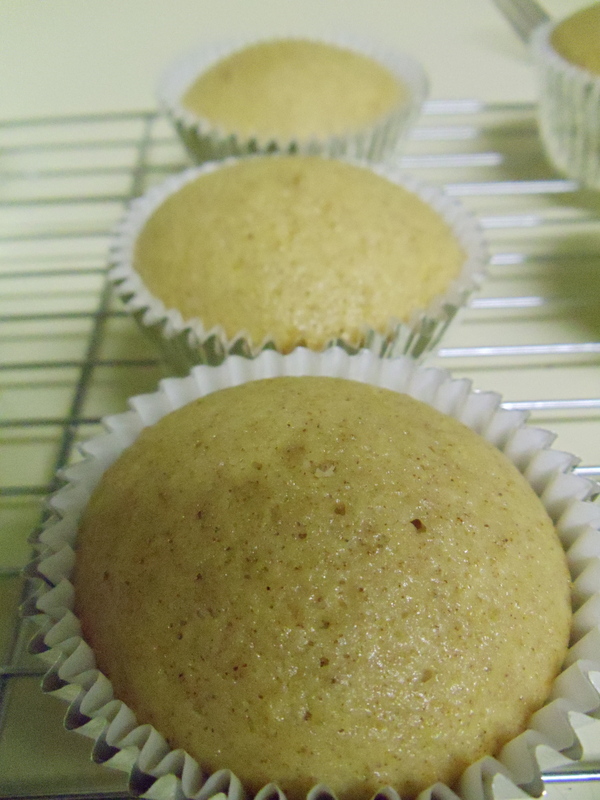 The density was perfect and didn’t stick to the cupcake liner too much. Also, the orange zest is what made the cake delectable, without it I’m not so sure how great it’s be. 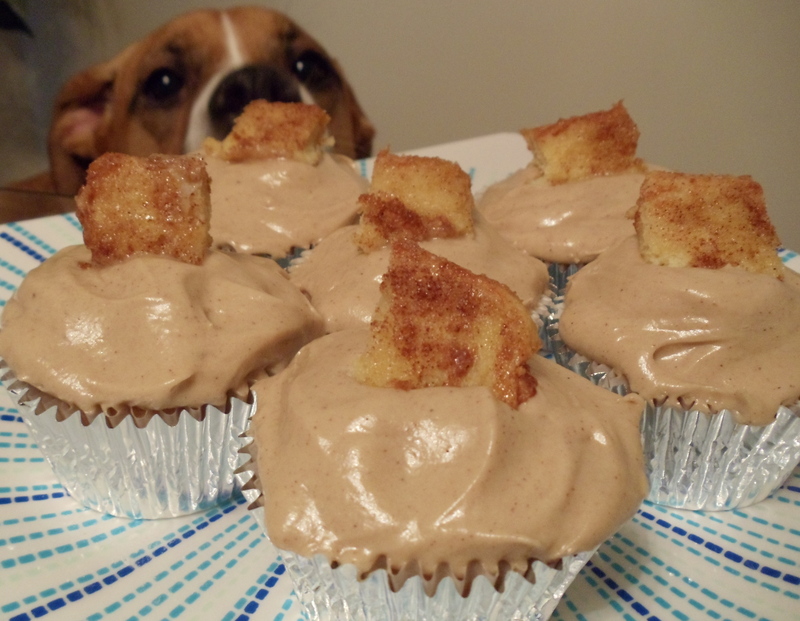 For a little garnish I made some french toast, cut out small squares and placed each on a cupcake. Just be sure you let the french toast cool it it’ll melt your frosting and that’s no good. The flavor and texture of the actual french toast is another key to this cake, really bringing it all together. I’d love if you left your thoughts and comments!